Tracey Henry holds a Master’s degree in the social sciences from Rand Afrikaans University (renamed the University of Johannesburg). Fresh out of university, Tracey joined the Chamber of Mines’ Wits Centre for Human Development in 1991. During her time at the WCHD, Tracey conducted one-on-one and group counselling sessions as well as wellness training programmes for employees and their dependents. 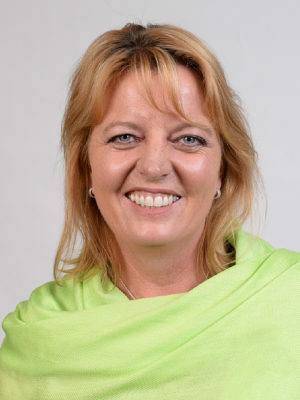 In 1995 Tracey joined Anglo American SA, working in the Anglo American and De Beers Chairman’s Fund department until June 1998, when the unit was dissolved and Tshikululu was established to manage the corporate social investment programmes for Anglo American and De Beers on an outsourced basis. Tshikululu Social Investments, established in 1998, is South Africa’s first outsourced corporate social investment management and advisory non-profit company. Tshikululu manages social investment programmes for a number of blue-chip companies including Anglo American, De Beers, FirstRand (including FNB, WesBank and Rand Merchant Bank), Discovery, and UTi. Tracey was appointed CEO in 2008. Tracey has 25 years’ experience in the corporate and development sector, with a particular focus on leveraging partnerships between government, business, and civil society that result in socio-economic transformation. Tracey is Executive Director of Tshikululu Social Investments, Trustee of the FirstRand Empowerment Foundation, Council member of the National Education Collaboration Trust, Governing Body member of the African Children Feeding Scheme and winner of the 2010 CEO Most Influential Women in Business – financial sector.